I’ve wanted a new bag for ages but could never put my finger on a perfect one (apart from the Ted Baker bag that was over a hundred pounds!) But, the other day I went into New Look and found an adorable little bag which I showed both my mum and my friend. My mum told me that I had shown her this bag before and that sold me, obviously returning to the same thing again and again means I have to buy it right? 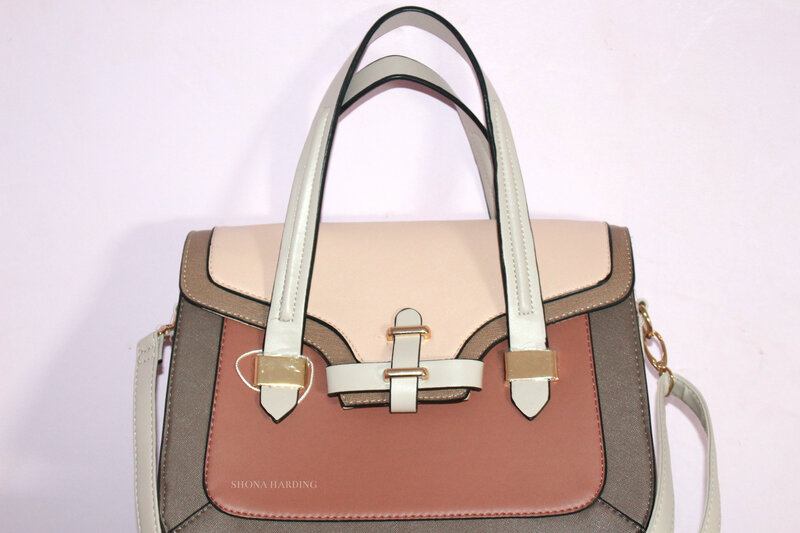 The bag is called on the website a ‘brown colour block bowler bag’. I love this bag because it’s small but fits everything I need into it, this includes, my purse, makeup bag, keys, phone, diary and pen, headphones and my lunch! It has both the small straps so you could hang it off your arm or two longer straps to hold it across your shoulder. I love the detail on this bag. The ‘buckle’ type detail on the front doesn’t actually have to be undone as there is a popper button underneath. The colours are also incredibly pretty and I think fit into the summer and autumn months. The inside of the bag is sealed by a zip which helps keep it closed and keep everything safe inside. It has a small pocket for your phone and another zip up pocket for anything loose you may need to keep hold of. The bag is also made so it doesn’t lose shape which I think is great because it always looks well looked after. 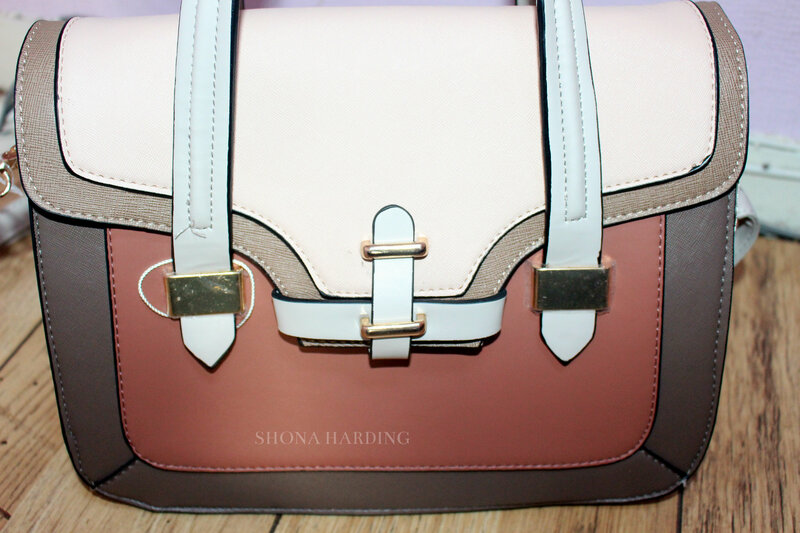 I love this bag and for only £22.99 it is a steal to buy (and 10% discount if you’re a student like me!) I would recommend it to people who don’t carry hundreds of items with them and want a bag that isn’t too heavy. What sort of bags are you into at the moment? 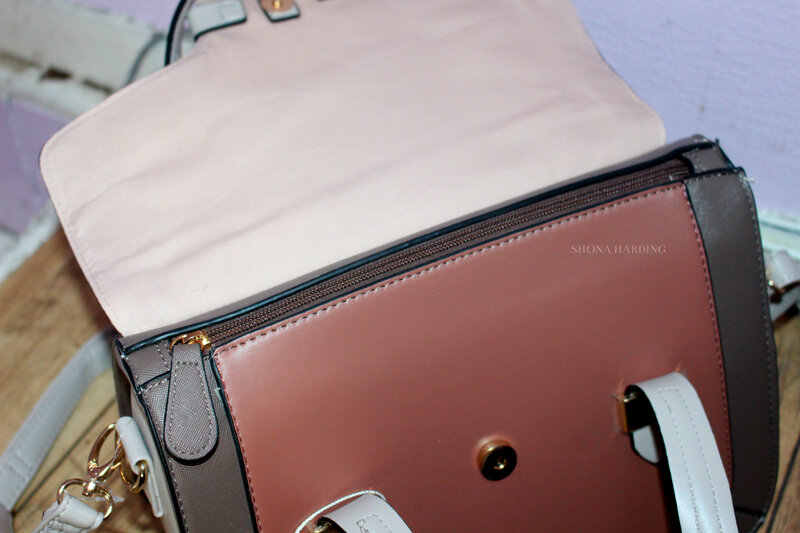 I’ll leave the link here: brown colour block bowler bag . You can also get it in yellow and white! Until next time.